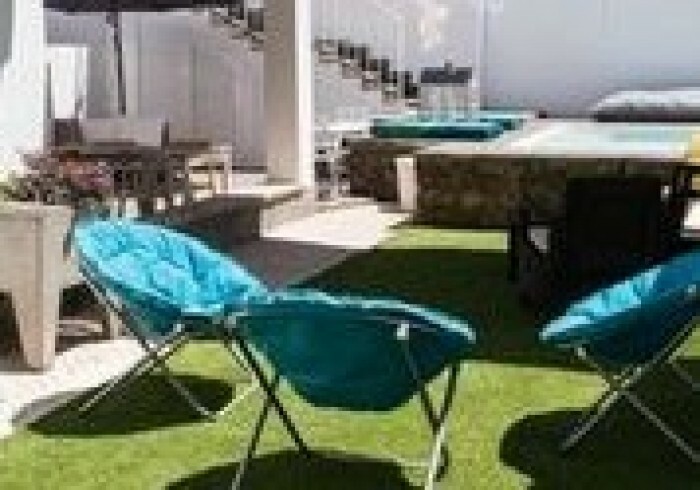 Art4You Cascais Hostel&Suites set in historic center of Cascais. Our concept is a tribute to several painters of our history. We have different spaces where our guests can relax , such as: swimming pool, barbecue area and several lounge. All rooms have a mix of modern and vintage decor and include air conditioning, Tv and private bathroom. Our guests can enjoy a fantastic Portuguese wine at the bar. You will find a water sports facilities and free use of bicycles is available. Guests can enjoy various activities in the surroundings, including Surfing, kitesurfing, Paddleboarding, golfing, horse riding, walking tours and windsurfing. Queens beach stay at 700 metres from the property and Museum of the Sea is 500 metres. Casa das Historias - Paula Rego Museum is 600 metres. The Art4You Cascais Hostels & Suites 1 Km away from the train Cascais station, and the Lisbon airport stay at 27 km from the property. Services at your disposal: Reception 24 hour, welcome drink, lounge, swimming pool with jacuzzis, private parking, free village maps, travel support and guided tours for additional cost, board games, breakfast included, maid service, key -code doors, luggage area, bed-reading light, kitchen, bar area.